When we began looking at how best to show off the stories that we’ve been collecting, we decided that there should be some form of FUN attached to it. We didn’t want just some simple TV showing the same video over and over again we wanted something people would come and interact with. This led us to building the arcade machine. 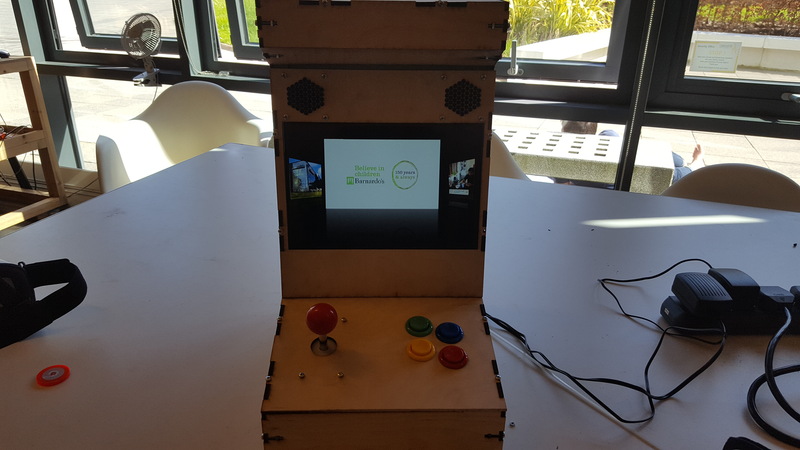 The machine itself is relatively simple; a screen attached to a RaspberryPi that is in turn connected to the joystick and buttons. 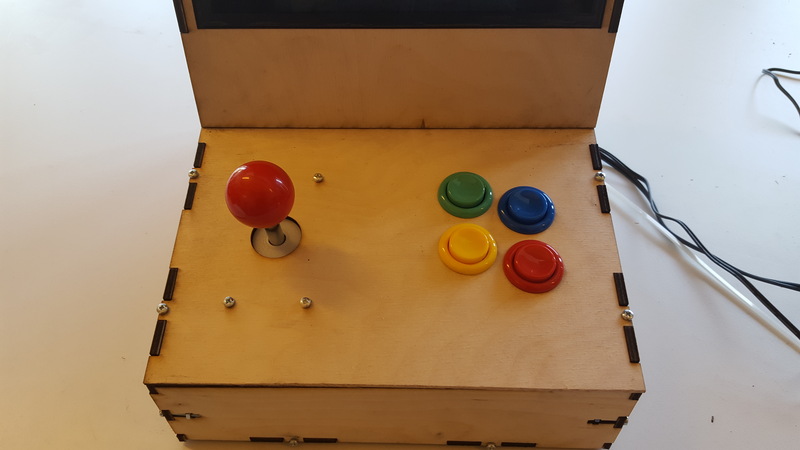 You can change videos by moving the joystick left and right and play them using the buttons. 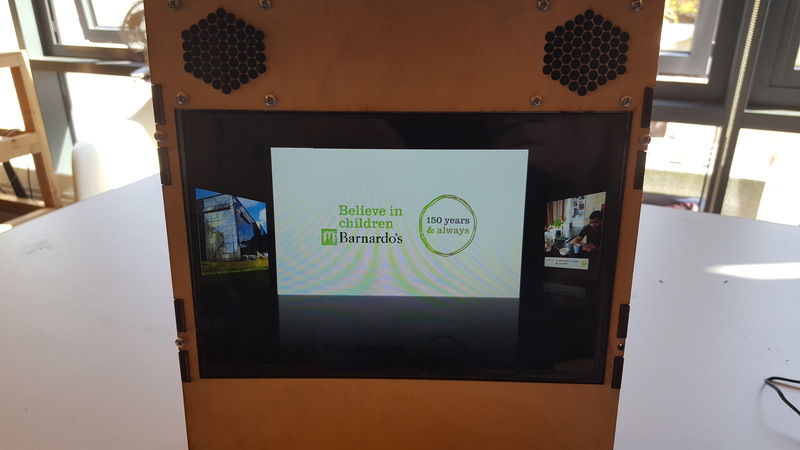 We’ll be building a new version soon that will hopefully be coming to a Barnados store to show off some of the fantastic stories. Next → Next post: S2CW Virtual Reality!